IJOY Limitless XL Tank/RTA has 4ml large juice capacity. It adopts special swappable deck system to make building easy. Just take it to enjoy convenient vaping. IJOY Limitless XL Tank, which adopts unique swappable deck to ensure easy building, comes with pre-made 0.15ohm light-up chip coil to deliver pure flavor. 4ml liquid is large enough to meet your daily needs. In addition, it is equipped with easy top refilling with no leakage to bring convenient vaping. High quality material makes it look up-scale. Just take it as your gift. • Three-month warranty for Limitless XL Tank. 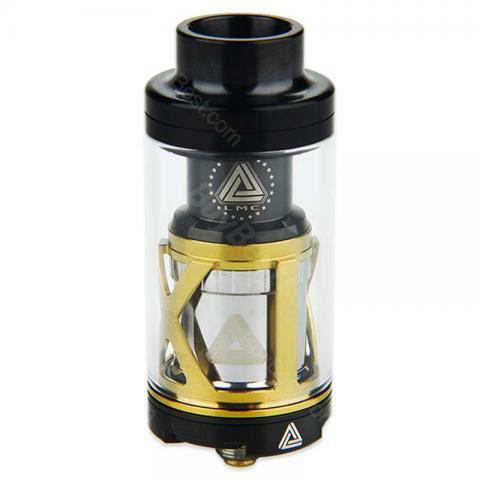 • Quick link:Limitless XL Tank Glass Tube. It is a brilliant tank, it will suite beginner and advanced user. It comes in very nice packaging, there are 3 types of coils included - pre-made (quadro coil), single and double coil build decks with installed coils ready to be wicked. Tank it self has 4 ml. capacity. Pre-made coil produces amazing taste. IJOY Limitless XL Tank/RTA is a 4ml capacity tank with a Swappable Deck System with elite level build decks and iJoy's new highly capable XL-C4 Chip Coil made with highest quality cotton.